In the latest NFL Mock Draft for Running Back, Arkansas’ Devwah Whaley is projected to go 29th. The 2019 NFL Draft Top Running Backs was Most Recent Revision December 17th. Damien Harris is projected to go as the top Running Back from Alabama, with David Montgomery from Iowa State projected to go second and Oklahoma State’s Justice Hill is projected to go third. 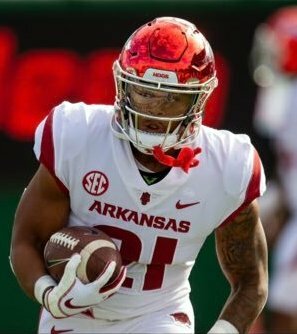 Whaley is yet to declare if he plans to leave Arkansas early and put his name in the NFL Draft.